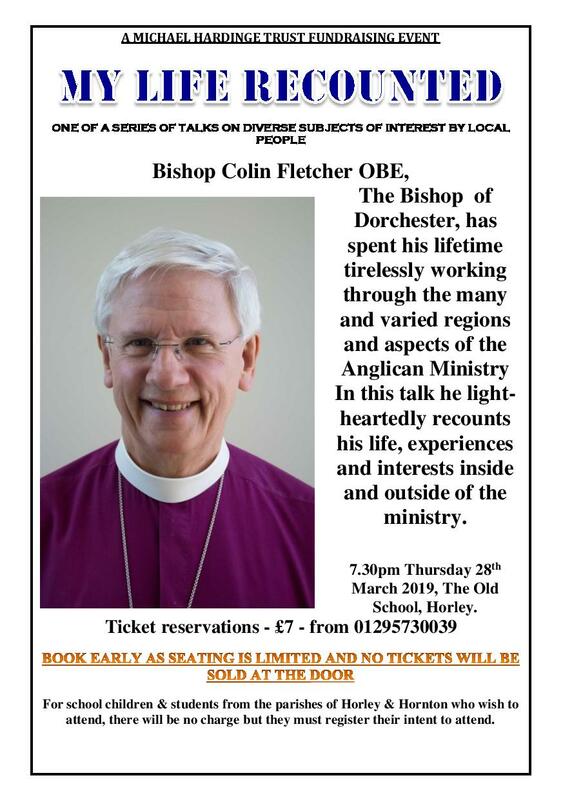 The next MHT talk will be given by Bishop Colin Fletcher OBE at the Old School on Thursday March 28th at 7.30. See below for details. This entry was posted in Michael Hardinge Trust and tagged Michael Hardinge Trust, The Old School on March 17, 2019 by thehorleyviews.